Chaar Hazaari | OK Listen! 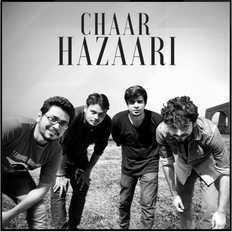 Chaar Hazaari is a Folk Rock band from Delhi. Since its inception in 2012, it has grown interlacing contemporary, folk and classical music to create its inimitable sound. The lyrical themes of devotion, love and nature find expression through the harmonizing fusion of traditional and western genres into Indian Folk and Modern Rock. Drawing inspiration and tracing its sound back to stalwarts of Indian Folk Rock, the band fosters a dream of having their music reach far and wide and to be heard and appreciated globally. With performances at various venues, it has successfully captured the interest and attention of a wide range of audiences, adding to the growing fan base. The songs in this debut album provide an insight to the band’s journey till now.